In addition to supporting the biological processes involved in producing normal skin, hair and nails, it is also important to support the body's defence against oxidative stress. Oxidative stress occurs when free radicals (highly reactive oxygen species) attack and cause damage to cells, cell constituents and cell membranes. Certain nutrients in Evelle, such as selenium, zinc, vitamin C and E contribute to the protection against oxidative stress. The outer, protective layer. 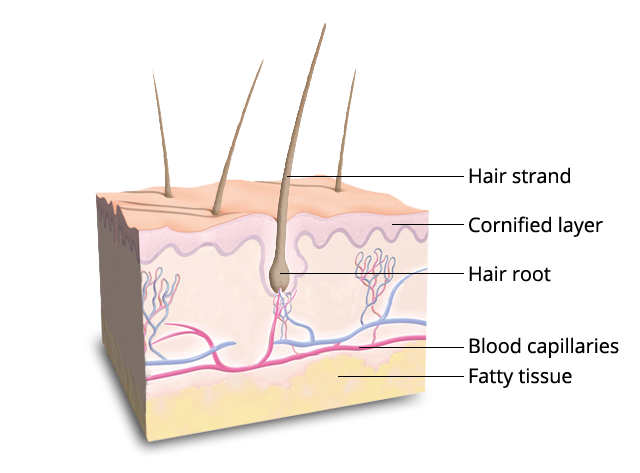 The thickness of the epidermis is in the range of 0.1 to 0.7mm. The thickest layers are on surfaces of hands and feet and the eyelids have the thinnest layer. The layer with collagen and elastin fibres that provides strength and resilien­ce. 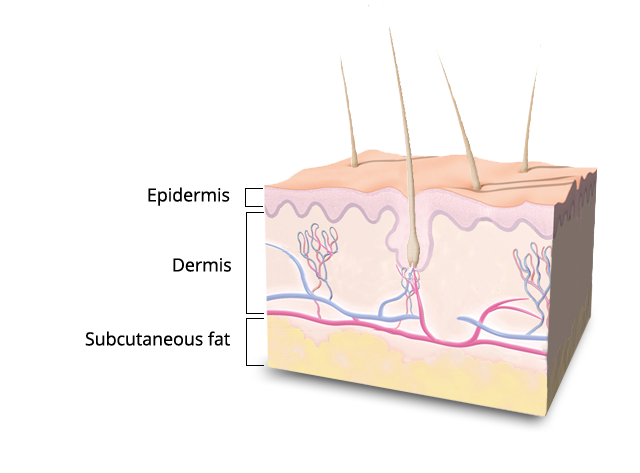 The dermis contains the multitude of blood vessels that carry nutrients to the cells in the epidermis. The vitamin C in Evelle works on the dermis by supporting the formation of collagen. The innermost layer consists of fat and connective tissue. This is one of the body’s most vital storage facilities for water and fat.